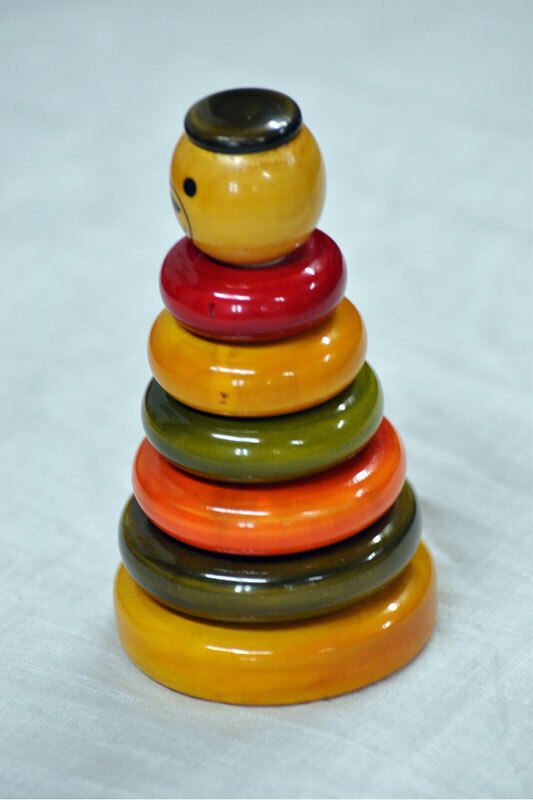 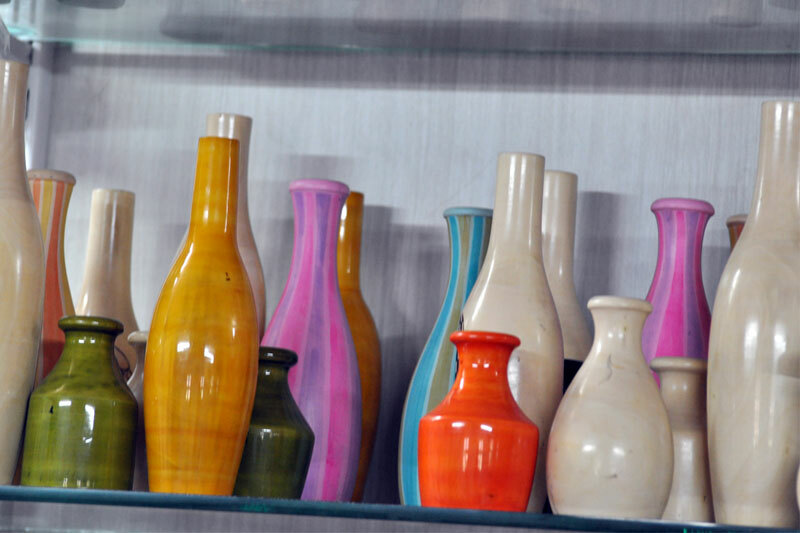 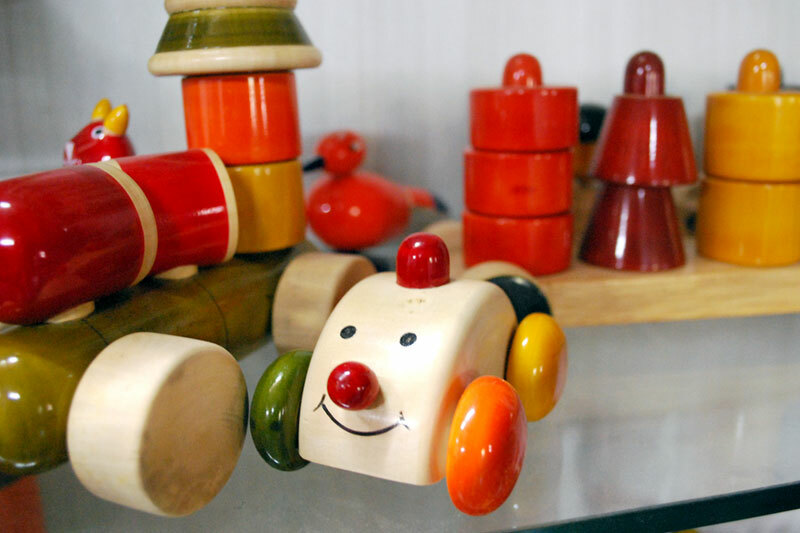 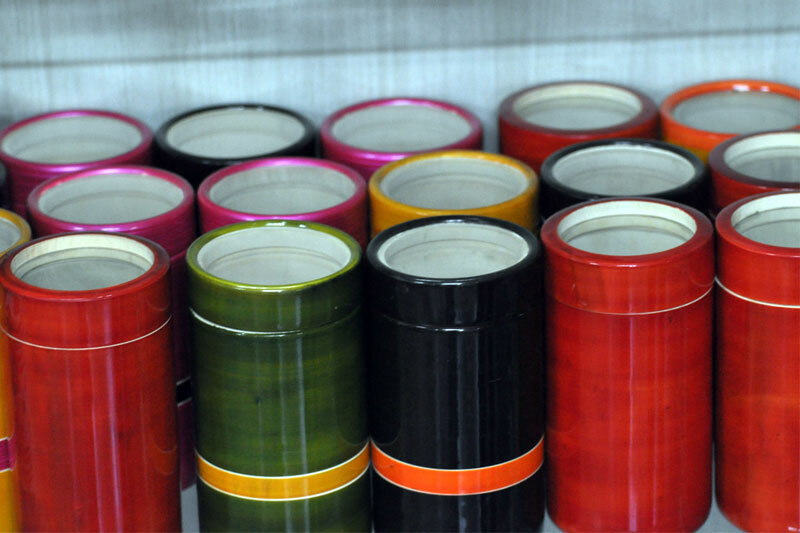 Channapatna, which is situated at about 80 km from Bangalore is famous for producing beautiful, bright colored wood turned toys. 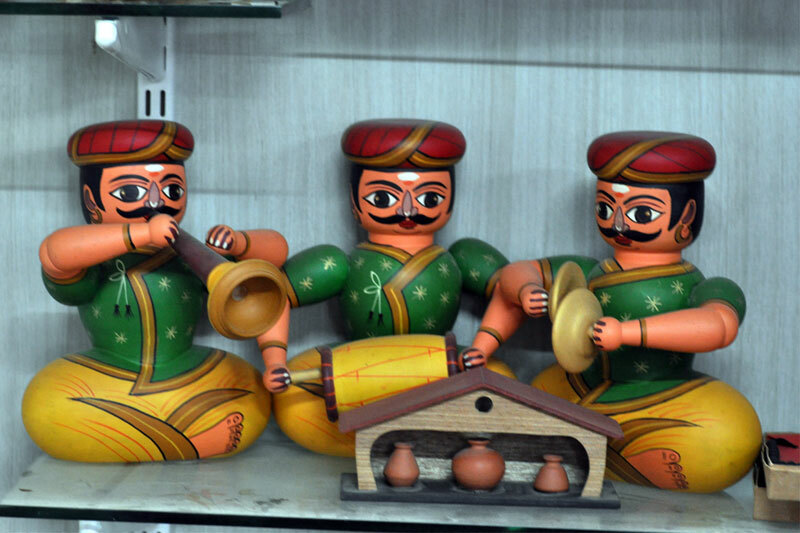 Channapatna is also referred to as Gombegala Ooru, which means Toy Town. 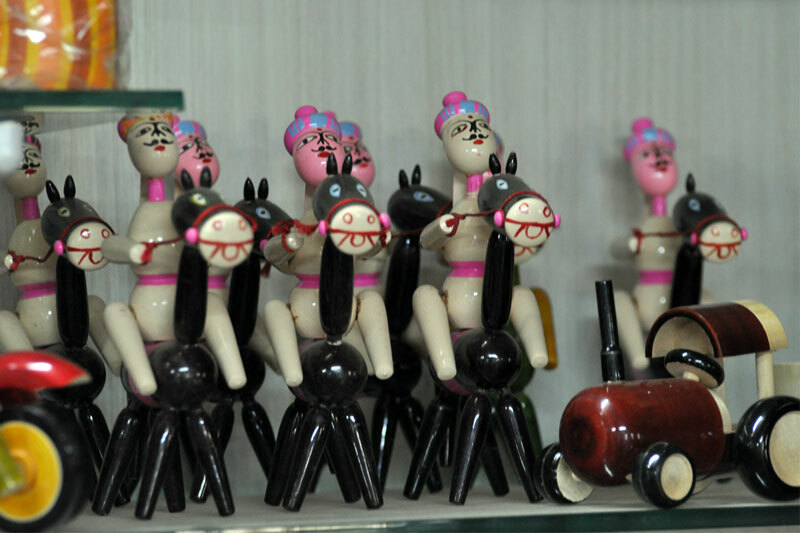 The artisans preferably use ivory wood but occasionally they use rosewood and sandalwood to make the toys and then lacquer them. 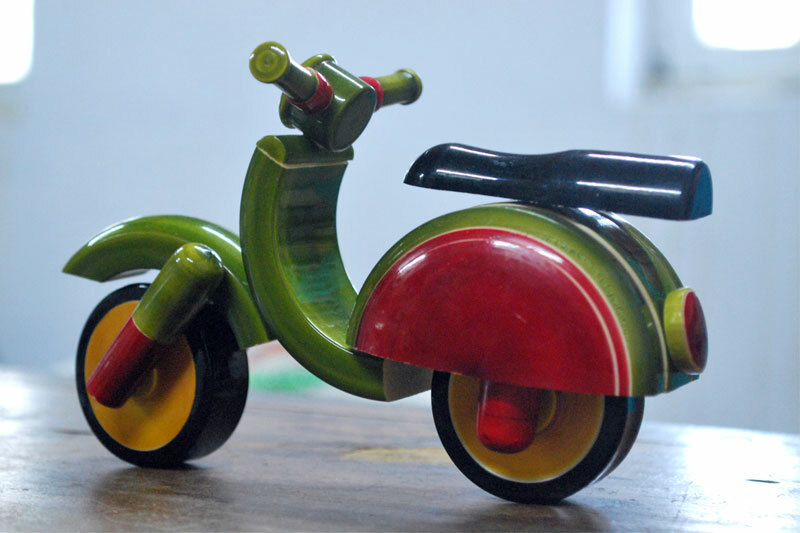 The craft of toy making originated long back in the town of Channapatna by the then ruler Tipu Sultan. 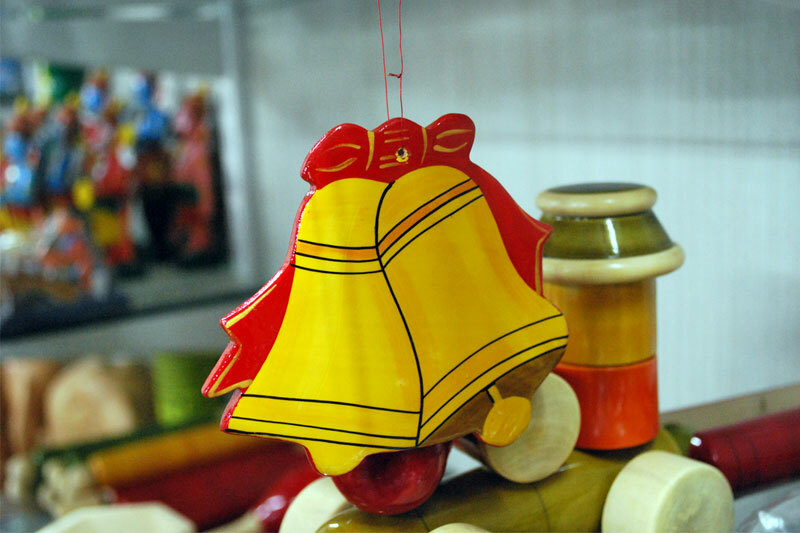 The Sultan encouraged and patronized toy-making artisans during his rule. 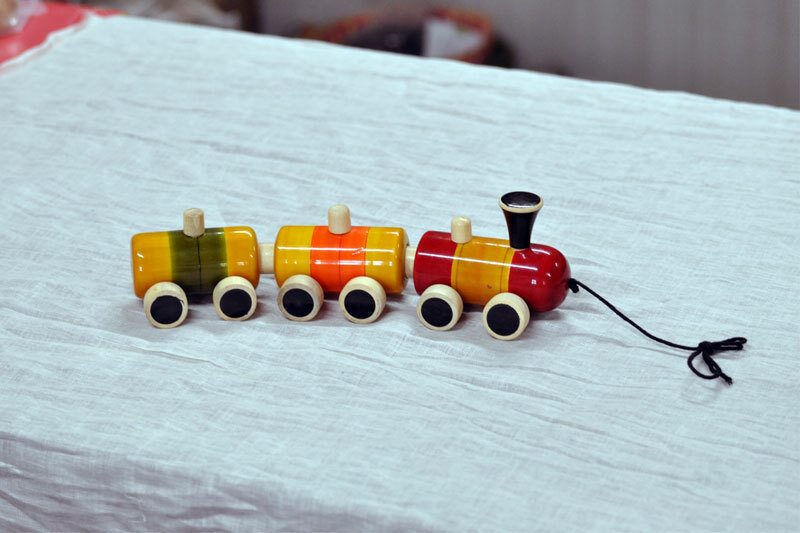 He invited toy makers from Persia to teach the local artisans in this craft and since then the craft of toy making is being practiced in Channapatna. 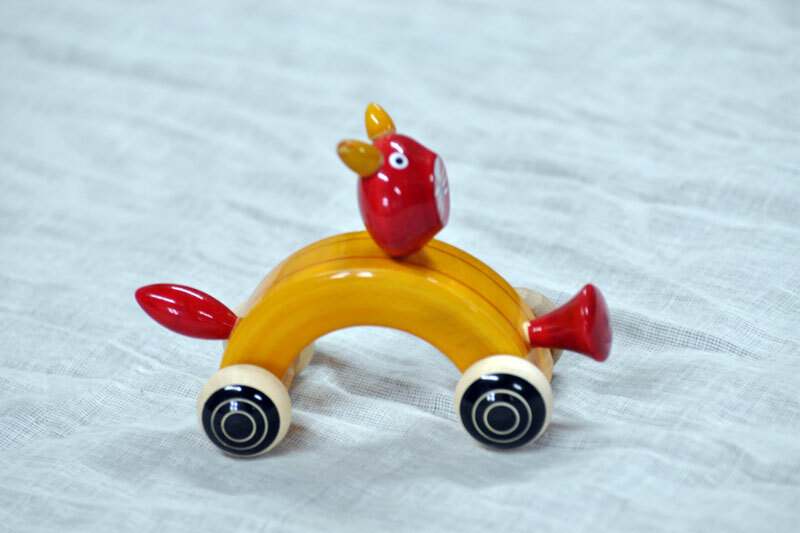 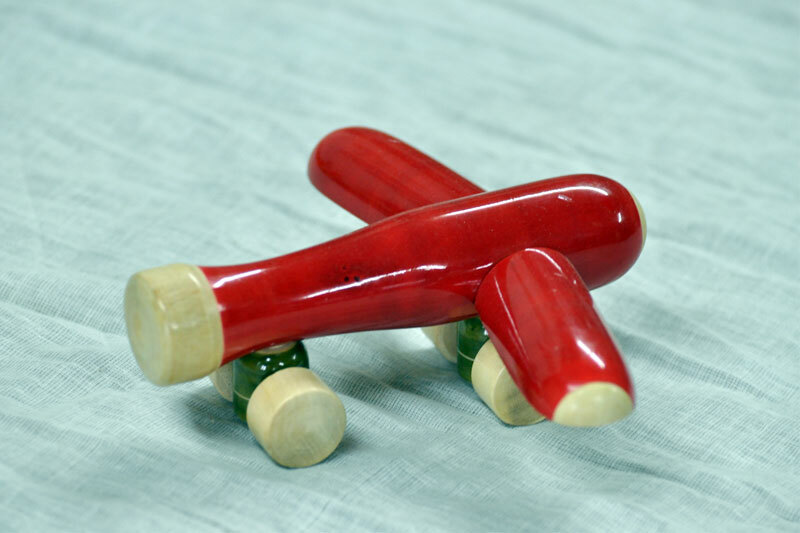 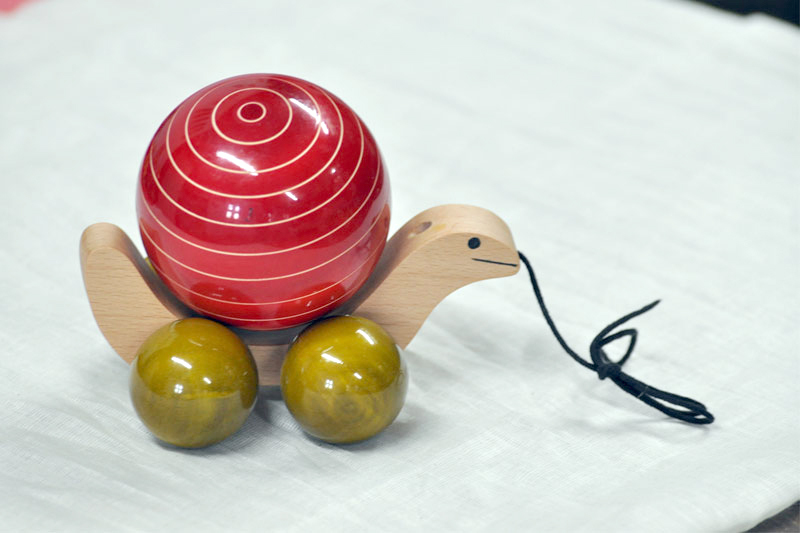 Artisans make beautiful turned wood toys and then apply lacquer of bright and vibrant color on it that enhances the beauty of these toys.